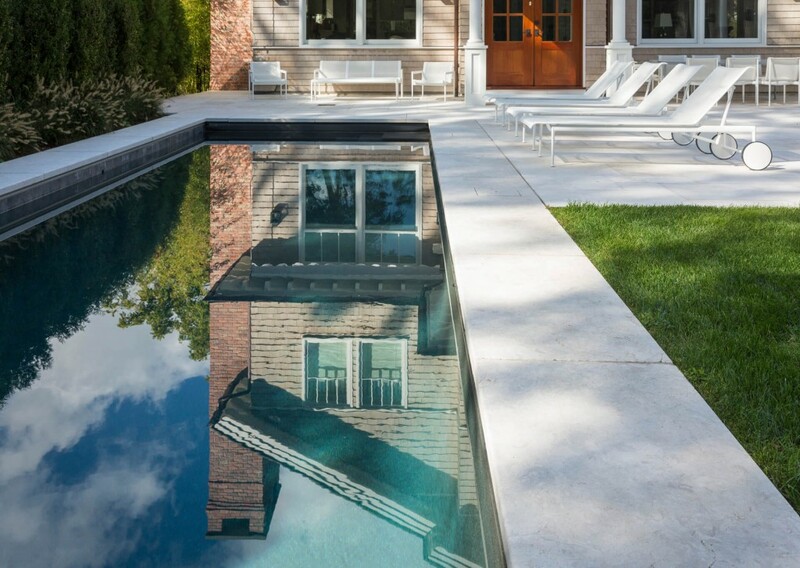 The long, lean swimming pool and raised spa were set perpendicular to the home to take full advantage of the rectangular property. 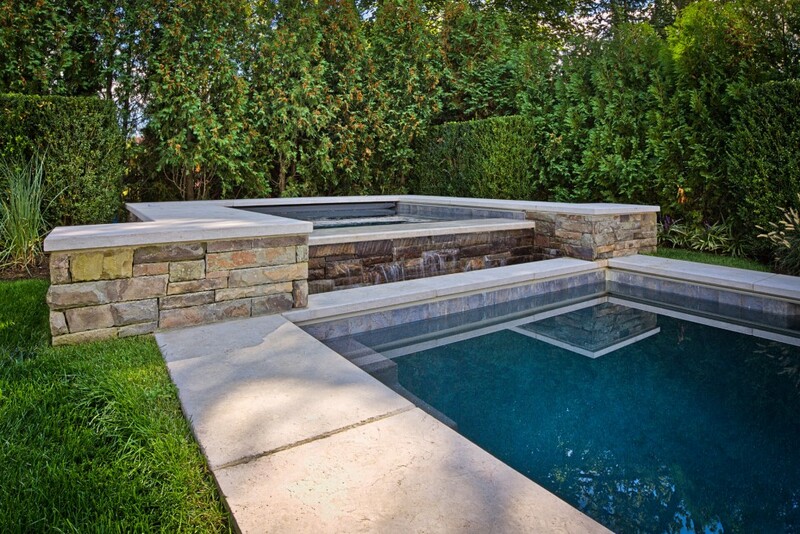 Extra-wide limestone coping provides a stunning frame, hides the skimmers with custom stone lids, and seamlessly blends with the random-rectangular limestone deck running the full width of the home. 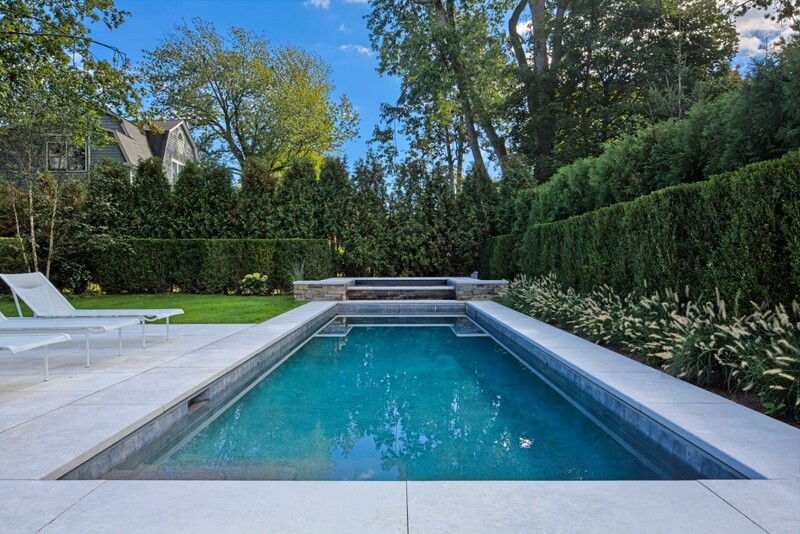 A custom pool house and mature, layered hedges add complete privacy to this beautiful backyard.